a lower voltage to the lamp when dimmed down causing your energy usage to be decreased which will save you cash! Most people can’t tell a difference between a lamp at 100% and one at 90%. That 10% difference will save you 10% in energy savings! 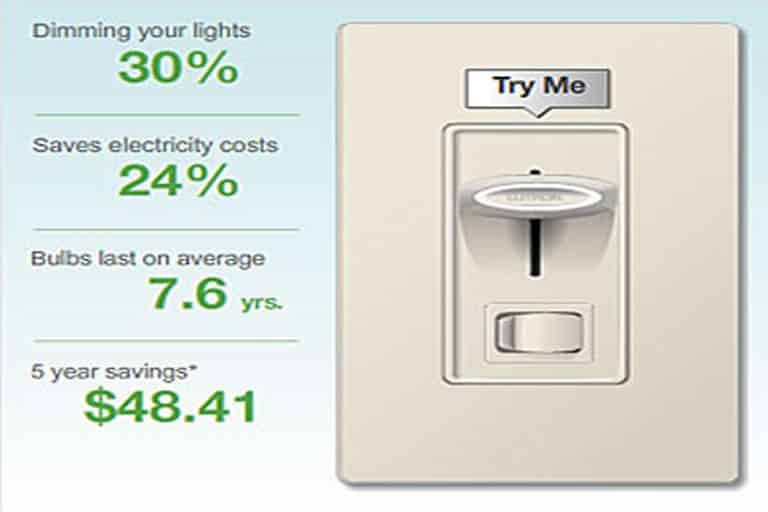 Try a dimmer or two in your house or office and when you like it, you can replace all the switches in your home or business saving big money!